Stream anime episodes online for free, Watch Naruto Shippuuden Episode 66 English version online and free episodes. Anime Episode guide, Chapter Naruto Shippuuden Episode 66 English dubbed Revived Souls Konoha’s ninja fight off the revived zombie members of the Kohaku clan. The four Guardian Ninjas, Seito, Tōu, Nauma and Kitane, are also revived. Asuma realizes that they are planning to use Limelight, a jutsu in which the four create a lightning blast powerful enough to destroy Konoha. 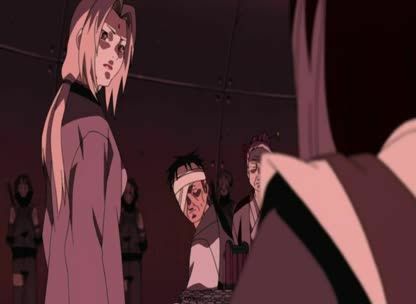 Asuma sends Sakura and Yamato after the other three while he remains behind to battle Kitane, but Fuen tackles Sakura and Fudo fights Yamato. Meanwhile, Naruto catches up to Sora, but Sora runs off in search of Furido. Naruto tries to pursue him, but is assailed by Fuuka. Soon after, Sora reaches Furido, who admits that he had planned to destroy Konoha.